What Causes a Fire Sprinkler to Activate? 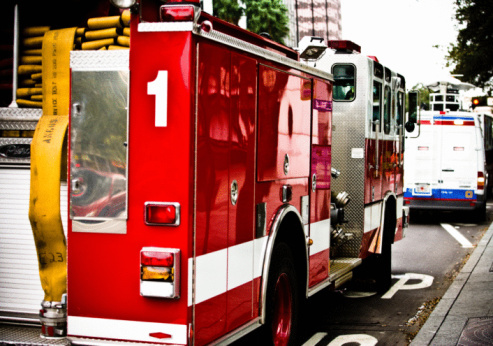 Although smoke detectors are still the most widely used form of home and business fire detection, emergency fire sprinklers are another option. In fact, they may be a safer option. According to Fire Sprinklers UK, people, on average, have a 20 percent chance of experiencing a fire in their lifetime, and those without a sprinkler system are 20 percent more likely to get seriously injured by one. To ensure maximum safety, it's important to know how these fire sprinkler systems work. Fire sprinklers are activated when heat rises to expand an integrated glass bulb. 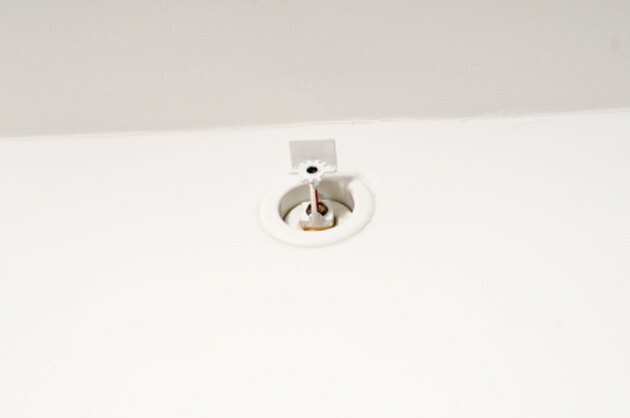 Sprinklers are typically installed to blend in on corners of the ceilings or high along the walls in a business or home residence. The sprinklers are connected to a network of pipes that runs inside the walls or along the ceilings, which are normally connected to a water main so they can provide water quickly in the event of an emergency. According to Fire Sprinklers UK, they serve two main purposes: To douse the fire before it has a chance to spread, and also to lessen smoke thickness, thereby making it easier for people to breathe and see their way to safety. All fire sprinklers are fitted with glass bulbs that are filled with gases and/or liquids that expand under heat. Since warm air rises, when a fire starts, a plume of heat is sent upwards, presumably to an elevated part of the room or facility where the fire sprinklers are installed. When these bulbs get hot enough, they break. This automatically releases a valve connected to the emergency sprinkler system, prompting it to go off. According to Fire Sprinklers UK, the glass bulbs are typically set to break at a certain temperature, usually around 68 degrees Celsius. Fire sprinklers don't know the difference between the heat from a fire or the heat from another object. They're simply triggered to activate when they detect a predetermined buildup of heat. According to the National Fire Sprinkler Association, this means that they could potentially be triggered inadvertently if heat-emitting objects like construction lighting, unit heaters and television cameras are placed in close proximity to sprinkler heads. Skylights have also been known to trigger sprinklers, as the shining sun can produce enough heat for activation. Other reasons as to why fire sprinklers discharge or leak include freezing pipes, pipe corrosion or manufacturing defects. One cause of fire sprinkler activation, notably in the case where there's no actual fire, is sabotage, states the National Fire Sprinkler Association. This is when a person purposefully starts a fire in a home or business or activates the fire sprinkler system in order to recoup insurance money from the damage that is endured. However, this is illegal. Scott Cornell began writing for professional publications in 2004. His early writing appeared in "The State News" and he has since been published in a family of newspapers in northeast Indiana, "Sports Illustrated" (Campus Editions) and on several sports blogs. He holds a Bachelor of Arts in journalism from Michigan State University.